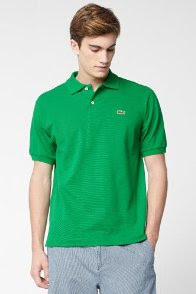 Shopping in an outlet mall recently, I saw a sign on the Lacoste outlet window that caught my eye - "See our Big & Tall selection". I didn't have high expectations as I've almost given up looking for tall clothes in standard shops but I had to give it a try. 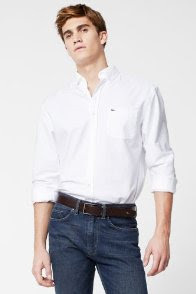 Afterwards, I checked online and sure enough, Lacoste does have a men's tall section (yes, actually tall, not just Big & Tall, which is impressive). Before you get too excited, what they mainly have is some very expensive T-shirts. Still, this is all good quality stuff and there are some tall sweaters, shirts and pants. But back to the store . . . the Big & Tall section turned out to be just one rack with a large number of very large shirts. There were several styles with tall sizes including LT, XLT and 2XLT. These tall sizes were generously cut with so if you're tall and slim, Lacoste will not be for you. 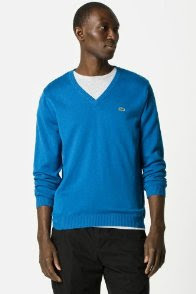 What I did find in the clearance section though was an extra large blue cashmere sweater. Not exactly what I needed heading into spring here in California but at 75% off I couldn't resist.